Tastes so good that you'll think the butters already added! 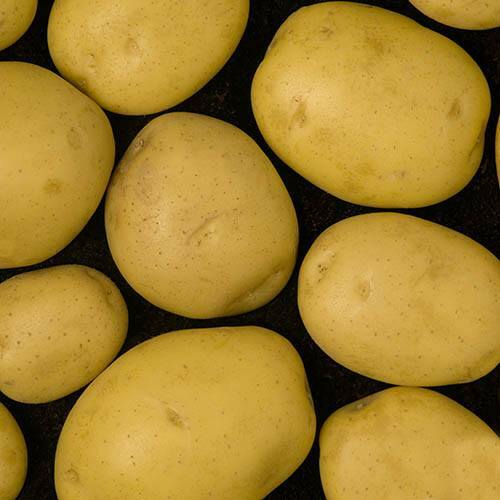 .A delicious new early maincrop potato with a golden appearance and a sensational taste. Elfe will give you a heavy crop of large smooth skinned potatoes that keep well. They are perfect for boiling, mashing and baking - do this and you'll discover the flavour wich is silky and sweet - so good that you'll think the butter has already been added! Because theflesh is soft it's much easier to mash without lumps too. Supplied from Certified Seed from some of the UK's leading growers, We suggest "chitting" by standing round end upwards in egg boxes, in cool, light rook for 2-3 weeks, until small shoots emerge from the eyes. Approx 12-15 tubers.